The kitchen is said to be the heart of the home. You do not need to spend a fortune to remodel it if it looks old. It will take time, some sweat and creativity to make it look splendid again. You can replace the doors of your cupboards if the framework is still in great shape. A lot of companies can supply replacement doors. 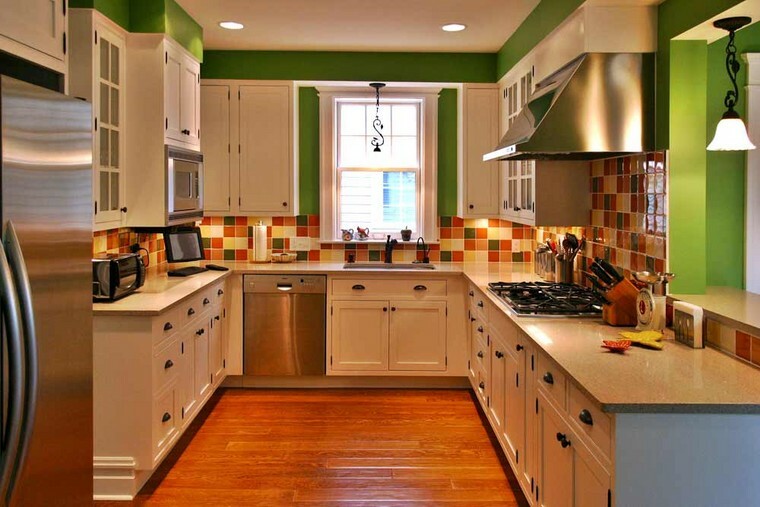 You can even consider repainting your cabinets with a fresh coat of paint that will change its overall look. Artwork, shelving and soft furnishings can create a warm and inviting place to welcome family and friends. These things are easy to replace, and you can update them seasonally whenever you want a new look. Obtaining vintage cookware can give charm to a country or farmhouse kitchen. Find the antique shops and second-hand shops, and you will be pleasantly surprised at what you can find for reasonable prices. You can dramatically change the overall look of your kitchen by merely replacing the existing worktops. Lamination is the most cost-effective worktop to invest in, but also consider extras, like a built-in draining board. Painting the walls of the kitchen will already give the room a new look. Using various painting techniques like sponging can give a vintage look to the kitchen. Stencilling your designs onto the walls brings extra charm and personality. Update your kitchen floor if it needs to complement the current scheme of the kitchen. You do not have to pay extra costs of taking off the old flooring, just lay new tile on top of the old ones. Sort out your cabinets and organise them in a way to give you easy access to the things you use most often. Shelving is a great alternative way to increase storage place in the kitchen. Get pull-out shelves and make every space as usable as possible. You can create the backdrop of your walls in the way that will compliment your personality. Wallpaper is a lovely way to add colour to an old kitchen. Some artistic people use stones and small tiles to make creative backdrops. You can change a modern looking kitchen to a country one by merely replacing your cabinet doors with wooden alternatives. Modifying the handles of the doors and drawers in your kitchen can change appearance as well. Placing the right accessories on open shelving can brighten your kitchen instantly. New curtains or replacing curtains with blinds can bring a transformation. Make new seat covers for the chairs and a new tablecloth, compliment the colour scheme with new oven mittens and dishcloths. Extra makeovers can include lighting solutions, changing the sink or replacing existing furniture or appliances. It does not matter what you do and how you do it, if you desire a new design for your kitchen, consider the tips we have shared on how to remodel your kitchen on a budget. When Do Scaffoldings Become Too Dangerous for a Workplace?